Call it how it is: 2017 was a major downer for Tech baseball. Coach Danny Hall suffered his first losing season in his 24th season as the Jackets’ head coach with a 27-28 final record despite a 9-1 start. After an All-ACC freshman year in 2016, sophomore 1B/P Tristin English was rendered inactive for the year before the season even began with a Tommy John surgery in January. Tech missed the NCAA tournament for the second time in three years after going 29 years from 1985 to 2014 with the same number of absences. Despite strong individual performances that netted numerous All-ACC First, Second and Third team nominations from various Jackets, struggles from the pitching rotation that ceded 10+ runs in 11 of the 28 losses hindered a classic Hall dynamo offense. 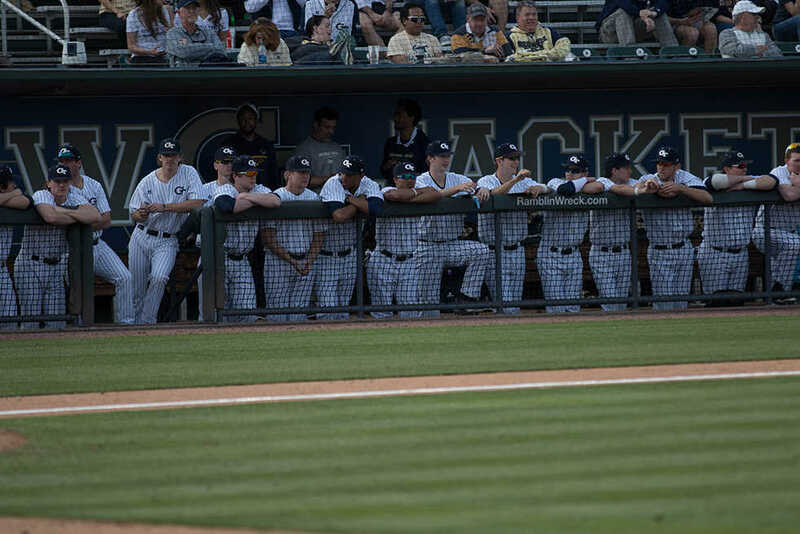 One’s inner pessimist may point to recent missteps from the Jackets as a sign that a “once great” program is slowly losing its touch as concerns with the pitching that have always been a concern with Tech baseball have grown worse in recent years to the point that our offense can no longer offset the shelling that opposing teams rain down on our bullpen. Sure, Tech technically outscored its opponents 325-319 as a whole on the season, and one could construe the net losing season as a few close games gone the wrong way. And yet, when one looks at ACC-only play, the Jackets were outscored 148-216 while going 11-19 in the conference, No. 5 in the Coastal Division and No. 11 in the overall conference, their worst season since 2002. The departure of Zac Ryan also means that the primary closer for Tech baseball is gone, leaving no heir apparent left on the roster from last year. However, with only six players leaving and thirteen incoming freshman, there is no shortage of fresh blood to be injected into the Tech system and reinvigorate the efforts for the 2018 season. True freshman Oscar Serratos, drafted in the 14th round by the Indians before deciding to continue playing for Tech, is hometown hero from Grayson that was one of the top ranked players in the state in both his junior and senior seasons. While his contributions at shortstop may be limited to start the season thanks to the staggering .338 bat from 2017 Freshman All-American Austin Wilhite, the towering Serratos wields a fastball and 12-6 curve in the low 90s and can be expected to slide right into the starting rotation. Fellow true freshman and son of Danny Hall, Colin Hall comes into Tech ranked in the top 200 high school players in the Class of 2017 and joins his older brother Carter who was sidelined for the majority of last year with an injury sustained late in his 2016 season. Hall the younger may also be sidelined for the beginning of the season with returning starters sophomore Chase Murray and preseason All-American senior Kel Johnson already stationed in the OF, but with a slew of freshmen vying for the final slot alongside bench players from last year, I’d expect the southeast region first-teamer to clock in some serious rotational minutes as the season marches on. In addition to new talent, many of the bright pieces of the dynamic Tech offense that propelled the team to its hot start last year have been retained for the 2018 season despite getting drafted by the majors. Junior catcher Joey Bart returns from his All-ACC 2nd team campaign with a strong preseason rating—the No. 2 overall C in collegiate baseball per D1Baseball’s first preseason positional power rankings, MLB.com’s No. 18 overall best prospect, and Golden Spikes Award preseason watch list. With a team leading 13 HRs, 43 RBIs, and impressive .296 BA last year, the Buford native could utilize this season as a means to finalize the improvement of his draft stock from the now obviously underrated No. 808 overall the Tampa Bay Rays used to select him with three years previously. Often talent looks excellent on paper yet fails to shine through over the course of a season due to unexpected slumps, injuries, misfortune or plain old regression. Indeed, something of the sort happened for Tech last season, when the sum of a series of excellent parts was greater than the whole’s results. But with a chip on the shoulder from their disappointing 2017 season and lots of new talent, there is reason to expect a significant improvement this season.